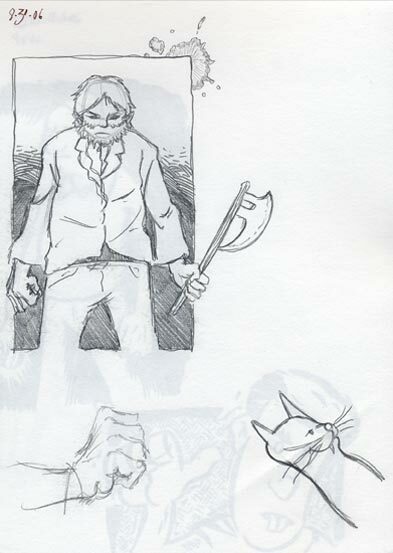 I’m posting meeting notes a day early this week just for the hell of it. 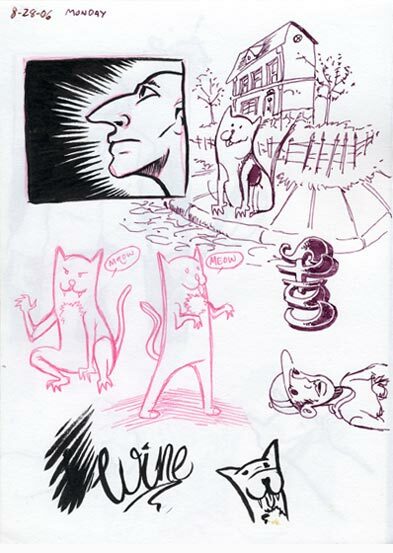 We’re starting on volume 11 which encompasses August of 06 to March of 07. And all in all, I’m pretty happy with the contents of this volume. I think there’s some really nice stuff in here. 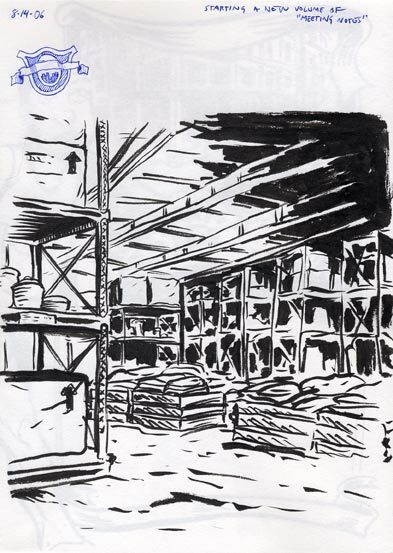 To start out, we have a sketch of the interior of a Costco warehouse as rememberd during a meeting. 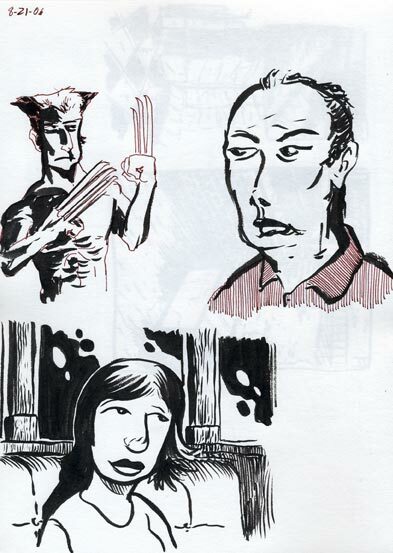 And then some randomness including a girl in a bar booth, Wolverine, and some cats.